Engage in New England’s celebrated imagery, culture, change of seasons and rich history. The cool greens and aquas of the New England landscape will refresh your soul in any season! 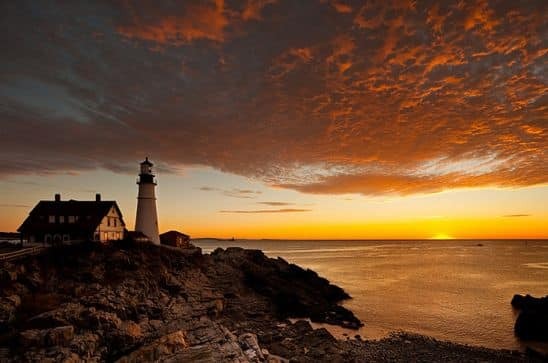 Sleep in a romantic yet rustic lighthouse on one of Maine’s calendar islands! Take a boat tour around the oyster beds at Island Creek oyster! Enjoy dinner down a tiny cobblestoned alleyway in Nantucket, complete with live harp and a chalkboard menu. Meet my cemetery and food ambassadors in Boston. Go on a music-crawl through Cambridge. Take a quick jaunt out to Block Island for a few days of sailing, lobstering, and hiking the cross-island trail. Learn to scull at a Vermont rowing camp. Meet Jamie, our lobsterman on the Schoodik, for a day rich in local culture, then wander down to the docks for a fresh-from-the-boat lunch at the lobster pound. Rent your own private island for the week, just off shore from Acadia. Bike Rockfeller’s carriage trails on Mount Desert Island. Kayak the Cranberry Isles of Acadia Park. Dining on scrumptious, freshly caught lobster. In fact, try our Lobster-Only diet! Bunk down in a historic stone cabin. Learn to dogsled on a musher’s farm in Vermont. Take a romantic sleigh ride to dinner. Watch ski jumping at Lake Placid. Contact Melanie for information on visiting New England and mapping out the best seasonal activities!